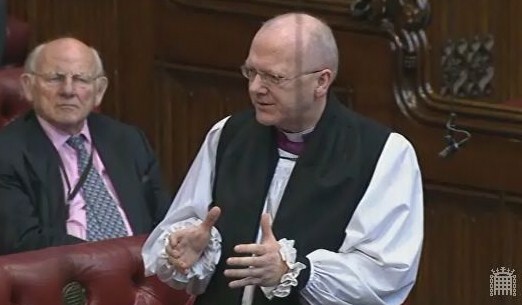 The Lord Bishop of St Albans: My Lords, I too thank the noble Lord, Lord Farmer, for this important debate. On behalf of these Benches, I take the opportunity to thank the Minister for his very considerable contribution, drive and service to this House, and wish him well as he leaves the Front Bench. I think it is true to say that very few in this House disagree with the stated aims of universal credit—to simplify the benefits system and ensure that work always pays. However, I also suspect that there are quite a few of us in this House and, indeed, on these Benches, who fear that on occasion Her Majesty’s Government may have lost sight of that aim. Indeed, it seems that successive cuts to the welfare budget have been prioritised as an easy way of balancing the Government’s finances. The Chancellor’s decision to lower the taper rate of universal credit in the Autumn Statement indicates a welcome change in the direction of travel, but that concession does not go far enough. It is cuts to work allowances that have most seriously undermined universal credit as an effective incentive to increase working hours, and only a restoration of those work allowances will see the credibility of universal credit restored. As the Centre for Social Justice has suggested, slowing or scrapping the Government’s commitment to increase the personal tax allowance would be the most obvious way of paying for an increase in work allowances, and would be a far more effective way of assisting hard-working families most in need of support. With more people in employment than ever before—that is a great thing—it is vital that the welfare system gives part-time workers an effective incentive to increase their working hours. I want to make a further brief point about the loans made available to claimants in financial difficulties when direct payments are not available. It is crucial that people are made aware of, and are able to access, universal credit advances as soon as they apply for universal credit, given that they could be waiting for up to seven weeks for their claim to be processed. Access and awareness around hardship payments are also vital when an individual is sanctioned, as well as swift processing. Anything else will leave people quite literally going hungry, and that is not something we should be willing to accept in modern-day Britain.